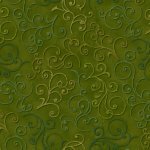 All patriotic fabrics & patterns 20% off! If you're a Barefoot Club Member take 25% off! Turn this panel into a beautiful banner in an afternoon! 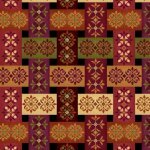 Every pattern in Modern Views uses one yard of three different fabrics - that's it! 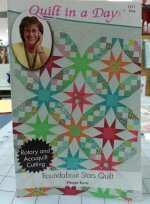 All eight patterns in this book are fast and easy three yard quilts. If you're in a hurry or just want a fun project this is definitely for you. And we've curated a nice variety of three-yard bundles for you to choose from! 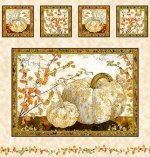 Autumn Shimmer from Quilting Treasures has just a touch of shimmering gold. 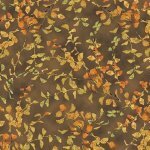 Introducing Fall Festival from Studio E Fabrics. 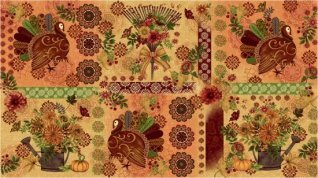 Get this free Fall Festival project sheet available from Studio E Projects! of a quilt. The detail on the trees is amazing! And the stripe is just begging to be an Easy Striped Table Runner! 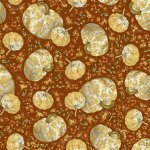 Keep an eye out -- there's more Christmas fabric on the way! 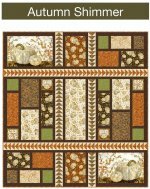 NEW patterns from Quilt In A Day! 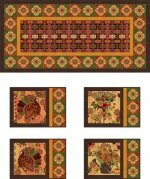 Templates shown are included in the pattern! 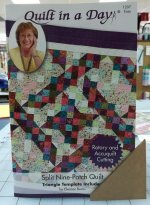 Stocking up on our Quilt In A Day books and patterns. 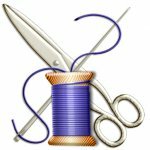 QUILTERS OF SOUTH CAROLINA are HOSTING again this year -- come see 100+ of the best quilts in SC. 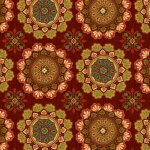 The Crazy Quilting Diva, Judy Twitty of Columbia, SC, will be highlighted with a special exhibit of her intricate and delightful works which have won national acclaim. Please come and spend the day with us. 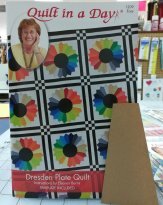 You'll find quilting fabrics, books, notions, and patterns as well as several wool vendors. Sewing machine and longarm machine vendors are happy to give you test drive on any of their machines. Parking is free and food is available on site. (Food sales help support Shriner’s Hospital) If you have any questions, please contact quiltgallery@bellsouth.net. You can also call 704-376-2531. The Early Bird Gets the Worm! Many vendors will have specials in their booths daily from 9am – 10am. On Friday at 3 pm Creative Sewing from Columbia, SC, is giving away a sewing machine! (You must be present to win.) On Saturday at 3 pm there's a drawing for another sewing machine. And at the end of the show on Saturday a huge basket of goodies will be given away to a lucky winner. You do not need to be present to win the basket. Everyone that attends the show will get one chance to win. However, the first 100 visitors in the door each morning will get 2 chances to win all day long. So plan to arrive early and stay all day. Quilts of Valor will also have a display of their fabulous quilts. Stop by and see how you can get involved with this very worthwhile cause. Parking is free and food is available on site; proceeds go to the Shriner’s Hospital, so eat lunch and help support a good cause. Mark your calendars -- the next Barefoot Sale Weekend is July 20-21!